Greater Vancouver housing sales saw significant gains last month, but market activity was still down compared to the 10-year average. The Real Estate Board of Greater Vancouver (REBGV) reports that 3,050 single-family detached homes, condos and townhouses changed hands last month, up 16.1 per cent from the 2,627 sales in April 2013, and a 15.5 increase from March of this year. But despite those significant gains, last month’s sales were still 5.2 per cent below the 10-year sales average. 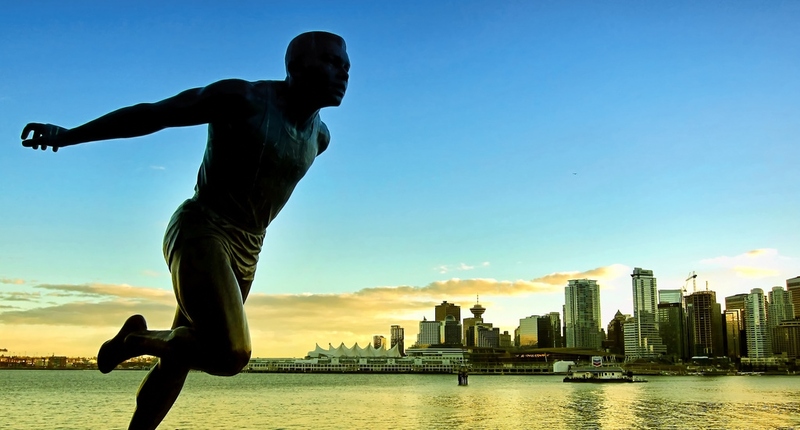 “We saw steady increases in home seller and buyer activity in April, which is typically the case in the spring months,” said REBGV president Ray Harris. New listings for homes in the Vancouver region totaled 5,950 in April, representing a 1.3 per cent increase compared to the 5,876 new listings 12 months early. Last month’s new listing count was 1.2 per cent higher than the region’s 10-year new listing average. REBGV says home prices in the region continue to show steady, yet modest, increases when compared to last year. The benchmark price for all residential properties in Metro Vancouver currently sits at $619,000, a 3.6 per cent increase compared to April 2013. Sales of detached properties in April 2014 reached 1,336, a year-over-year increase of 25.6 per cent. The benchmark price for single-family homes increased 4.7 per cent from April 2013 to $956,700. A total of 1,172 condos sold on the region’s Multiple Listing Service last month, an increase of 11.4 per cent compared to the 1,052 sales in April 2013. The benchmark price of a condo rose 2.6 per cent from a year ago to $375,500. REBGV reports 542 townhomes changed hands last month, a 6.1 per cent increase compared to the 511 sales in April 2013. The benchmark price increased two per cent between April 2013 and 2014 to $464,400. Need a big picture look at the region’s housing market? 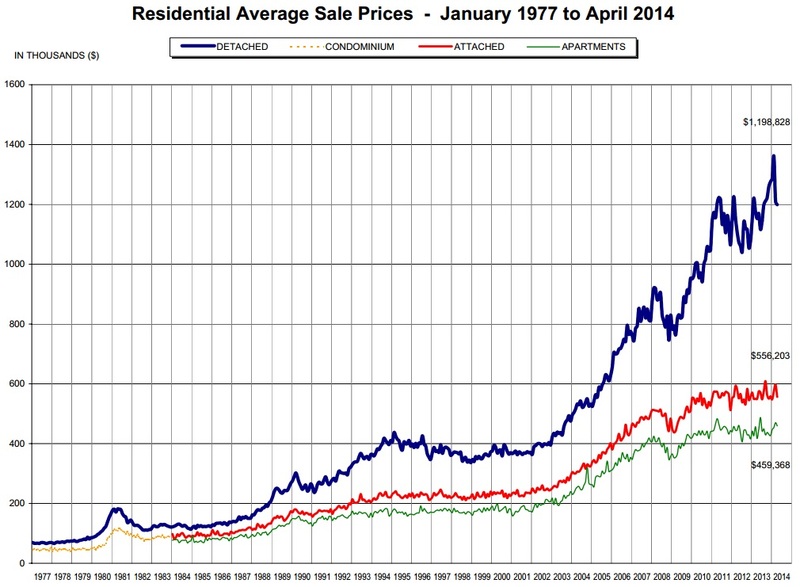 Take a gander at the 37-year average sale price trend. The complete monthly statistic package can be download here (PDF).